This complex screen saver was created for a Hoxton square design company. 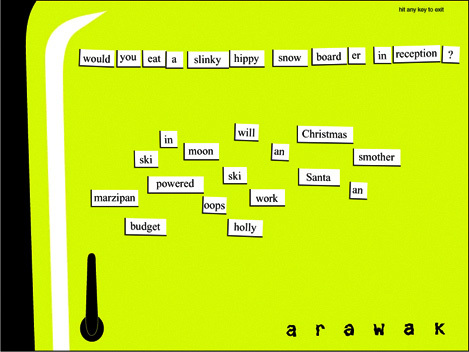 A Christmas give-away/ marketing tool. 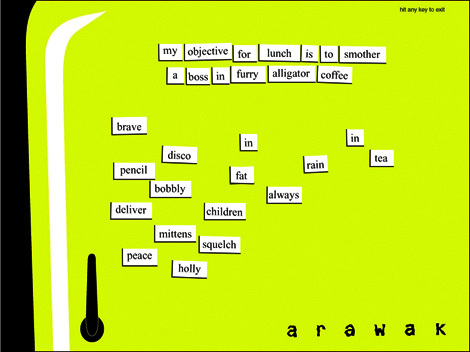 The user can move the fridge magnets around and create unique phrases. The word layouts are stored on the users machine and so when the screen saver re-activates the words are still their previous positions.